The structure of stories are simple. They have a beginning, a middle, and an end, right? That’s how I was taught to structure stories when I was at school, and that’s how students today continue to be taught. While it is still accurate, and it still works, I think that Pixar have come up with something better. A formula which they use to structure all of their stories, and one which pretty much every story you can think of fits into. place. The reader wants to know who the story is about, where they are, and when it is all taking place. Not providing this quite basic information can leave the audience feeling a little uncomfortable and unsettled. You don’t have to provide every detail, but there must be enough information to allow the audience to understand the story that is to follow. The opening scene of ’28 Days Later’ is a great example of this in action. Once the characters and setting have been established, you need to tell the audience what life is like in this world every day. Stories need to show the ‘world balance’. Don’t be confused by the term ‘balance’. It doesn’t mean that all is well; just that this is how things are. At the beginning of Harry Potter, we see what his home life is like; we see how he is neglected and ignored and treated so awfully in comparison to Dudley. The story that follows wouldn’t be nearly as enjoyable or interesting if we weren’t given this background. We need to see the status quo before we experience the adventure of the story. Something needs to happen that throws the main character’s world out of balance; otherwise, there is no story. The story of the girl who continued to live her life exactly as she always has every day doesn’t make for particularly intriguing creative writing. Characterisation is vital when telling a story, and if things don’t change, the characters won’t change. You need to upset the status quo. Whatever happens – however your students choose to move the story forwards – it needs to force the main character to do something, change something, attain something, that will either restore the old balance or establish a new one. All stories, no matter how good they are, need to have an end. In story structure, this moment is called the Inciting Incident. In the Wizard of Oz, it is the tornado; in The Hobbit, it is Gandalf turning up at Bilbo’s door. There needs to be a moment that changes things. If there is something that changes things, then things need to change. There can’t be an inciting incident followed by more of the same. If Hamlet’s reaction to hearing the truth behind his father’s death had been to go back to Wittenberg University and continue with his studies, I don’t think the play would have gone down as quite such a classic. After the inciting incident, the main character needs to go after their goal. This is the beginning of Act II; it is the main body of the story, or as I was taught; ‘the beginning of the middle’. No, you haven’t read that wrong, and no, it wasn’t a mistake. There are two ‘because of that‘ sections. If the main character’s initial reaction to the inciting incident ends up solving all their problems, you have written a pretty boring story. Something else has to happen after the first ‘because’ to move the story along. Let me complete some of my previous examples by way of explanation. Once upon a time, there was a boy called Harry Potter. Every day he was mistreated by his adoptive parents. One day, he discovered he was a wizard. Because of that, he goes to Hogwarts School of Witchcraft and Wizardry and learns all about who he really is. Because of that, he finds out that Voldemort is on the rise again and after the Philosopher’s Stone, which he must find before Voldemort does. Once upon a time, there was a girl called Dorothy. Every day she feels unloved, ignored, and dreams of a better place, ‘somewhere over the rainbow’. 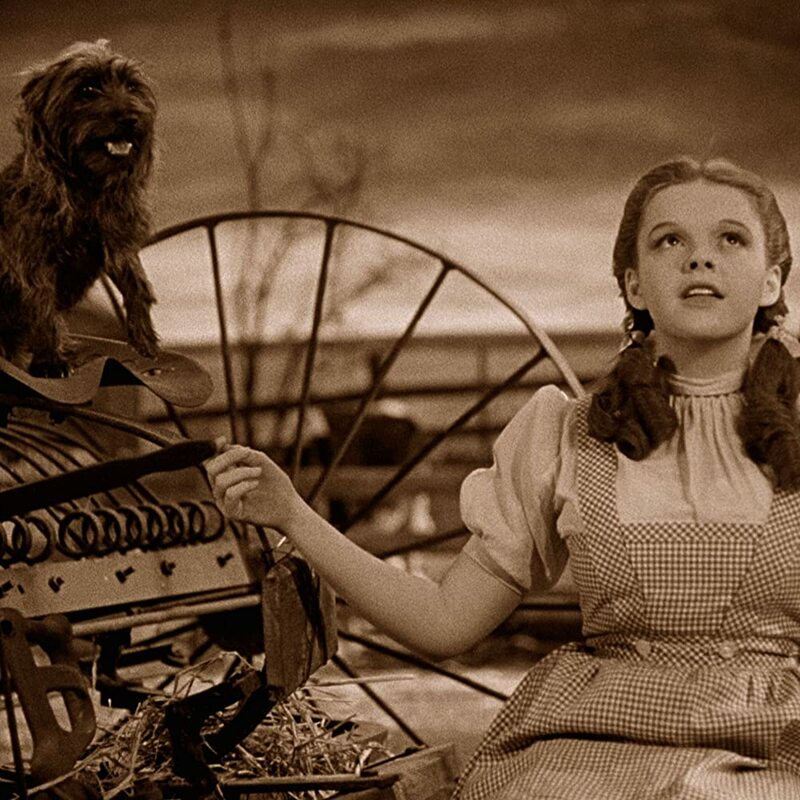 One day, there is a tornado that transports Dorothy a long way away from home. Because of that, she has to try and find the Wizard in the Emerald city who can help her find her way home again. Because of that, she finds out about the Wicked Witch and knows that she must find and kill her. Once upon a time, there was a Hobbit called Bilbo. Every day he relaxed in a very quaint and pretty part of the countryside in Middle Earth. One day, he is visited by a wizard called Gandalf, who asks him to accompany some dwarves as their thief. Because of that, he journeys with the dwarfs to help steal their gold back. Because of that, he gets caught up in a huge battle on the foot of The Lonely Mountain. Firstly, these examples are very, very simplistic. I am aware that they miss out huge portions of the plots, but I hope that they demonstrate the structure. Secondly, if you are writing a very short piece of fiction, such as flash fiction, you can get away with just having one ‘Because of that’ section. However, for longer pieces of writing, you really do need two. Stories need a conclusion, otherwise the audience are going to be left feeling very disappointed. Dorothy and Bilbo both need to return home; Harry Potter needs to be rewarded with the happy family life he was denied as a child; Hamlet needs some sort of closure even in death. You need to restore a sense of equilibrium to the story. This doesn’t have to be the same normality as we started off with; the important thing is that the “Because of that” stages lead towards something with finality. Our page library includes a few templates for helping explain and teach storytelling, you can access them here.